Don't forget to enter my book give way that's happening on Friday! You have a good chance of winning since so far there is only one comment! So I'm going against the rules here. I'm going to tell you a bit about the book. This book is a "I can't put it down book". Parts of it were very disturbing. And I really don't think I like the ending. It's one of those that just leaves you hanging so you have to figure out what's going to happen on your own. That being said, it was a bit educational and quite a bit emotional. 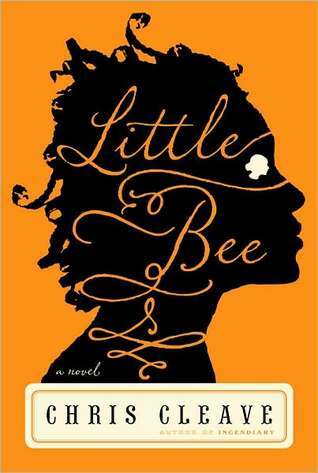 The story is of Little Bee who lives in Nigeria. She and her sister have escaped from their village, the only ones in their family (and maybe the village) to make it out alive. While they are running from the enemy they meet up with Sarah and her husband Andrew, white people taking a vacation in Nigeria to "save their marriage". What happens next is something you won't forget after you read it. Have you read this book? What did you think? What's your take on what happens at the end? This is the book club selection for my book club this month and I can't wait to see what everyone says about it. I am not reading all your post. I don't want to ruin the book! I will get it from the library I hope. I hate buying books!